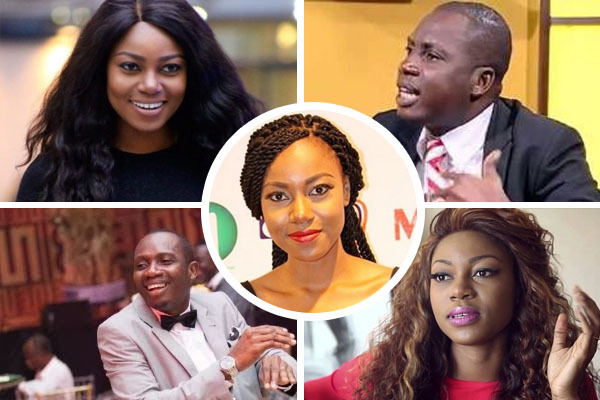 Ghanaian actress-Yvonne Nelson has denied ever being pregnant after GhanaCelebrities.Com broke news in July that the actress was expecting a baby. It, therefore, follows that since she says she was never pregnant, there was no way she could have given birth as being speculated in the media–the subject of a thought-provoking article Chris-Vincent Agyapong Febiri wrote a few days ago which got a lot of people talking. A twitter user by the handle ghshowbizcritic went straight to Yvonne Nelson, of course on Twitter–and asked her whether her baby was aborted or she can’t just share a picture because the baby is ‘ugly’. And Yvonne Nelson as usual hit back at him–saying, she believes a lot of people are unhappy in life, especially bloggers.